When I heard Oreo Os were back on the shelves, I knew I had to grab some for nostalgic sake. I wasn’t sure if I’d still be interested in a cereal that I last had as a teenager but I knew the boys would love it. (Who am I kidding, of course I am going to love it. It’s a cereal made to taste like my favorite cookie). 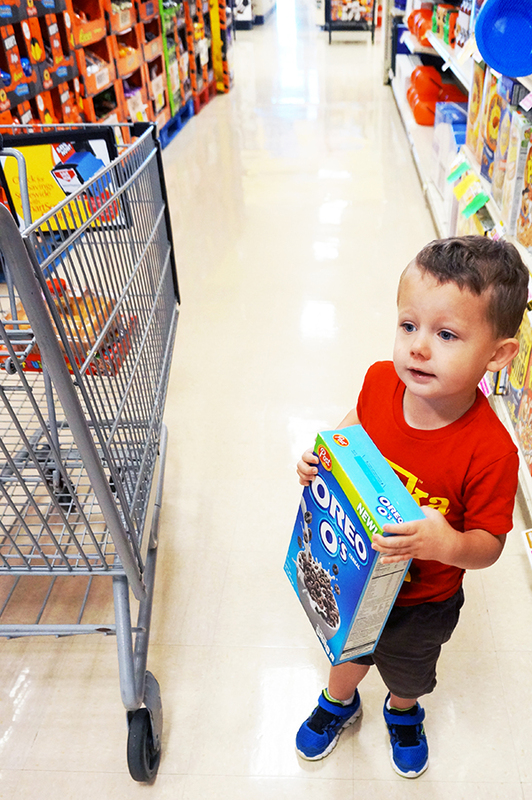 So, I used Post’s Oreo O’s tracker to determine whether or not they were carried by my house. 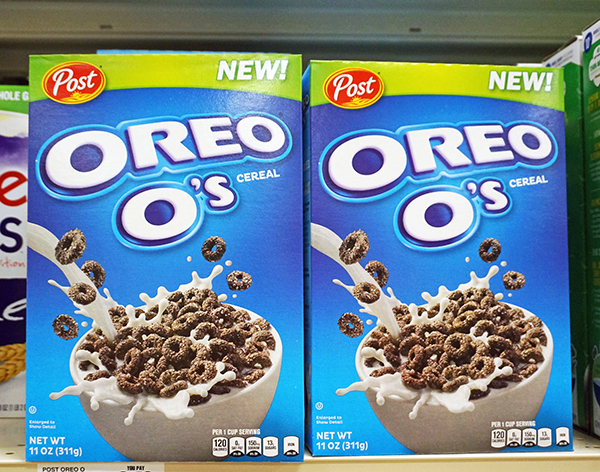 I was so excited to see that one of our local ShopRite’s had Oreo O’s on their shelves. 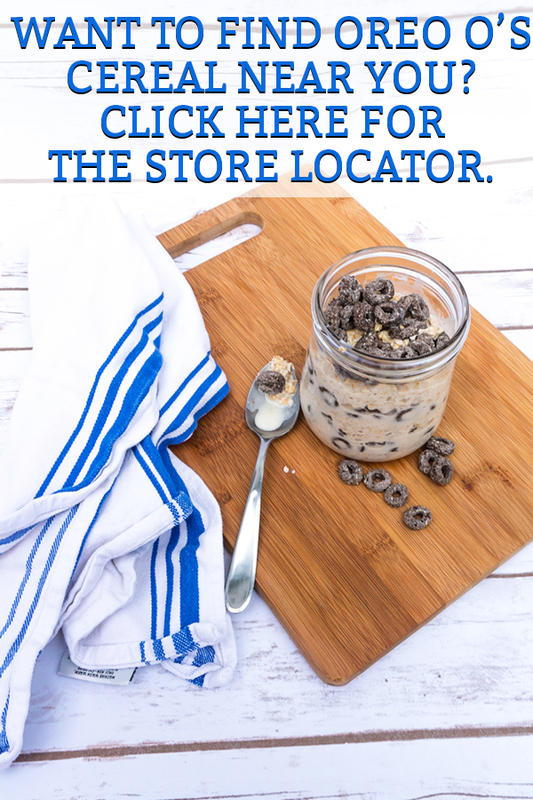 If you want to find the closest store to you that carries Oreo O’s, check out their product locator here. Once in the store, we quickly found them in our cereal aisle. My helper grabbed a box and of course he insisted that he got to be the one to pick out the treat. While shopping, my son begged me to buy some Marshmallows. 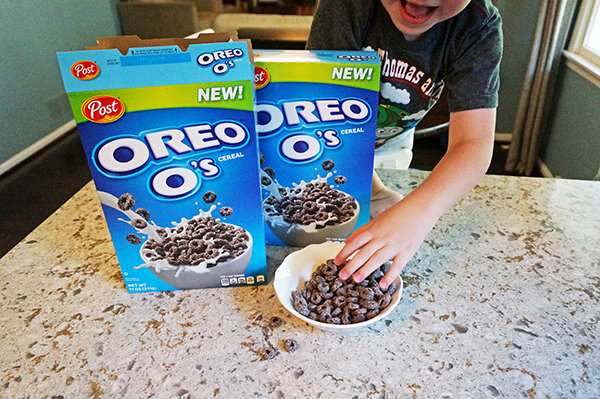 Instantly, I got the idea that we could make some cereal bars with the Oreo O’s and marshmallows. The only other ingredient we’d need would be butter. 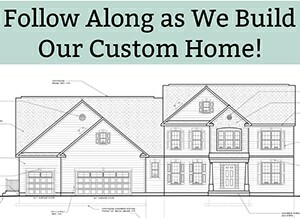 So we grabbed what we needed and headed home. Once we got home, we broke out the cereal as an afternoon snack. Oreo O’s are even better than I remembered them. This is one breakfast I’ll be hoping my kid’s don’t finish (which unfortunately isn’t very likely). 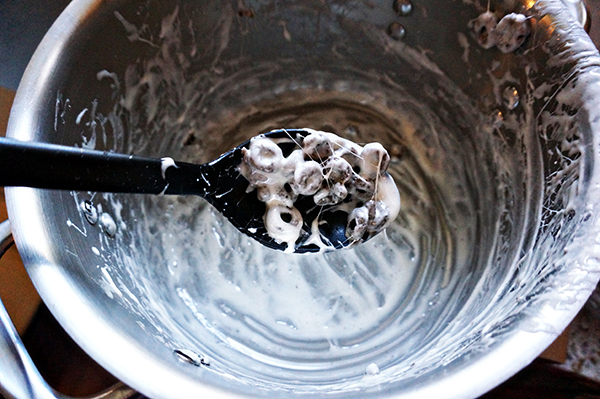 Yogurt topping (mix it with vanilla yogurt and you have some cookies and cream yogurt. Mix it with strawberry yogurt and you have a little bit of chocolate covered strawberry yogurt. The combinations are endless). 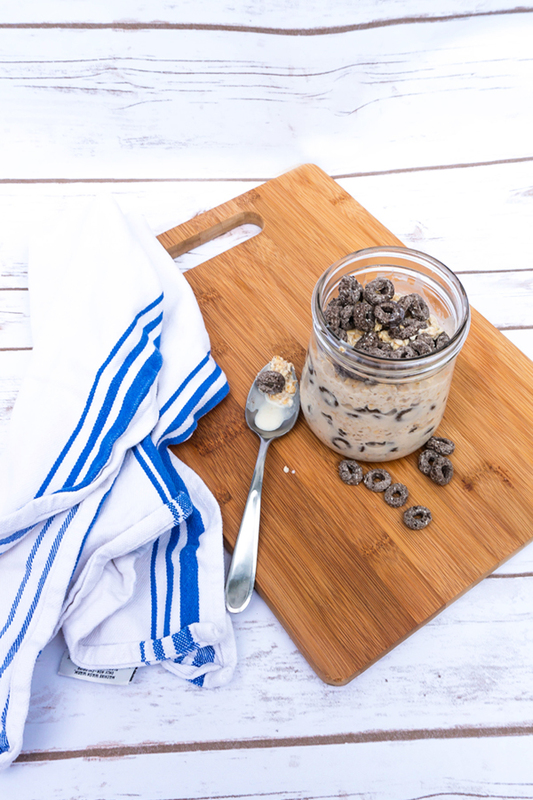 Cookies and Cream Overnight Oats – recipe below. 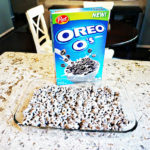 Oreo O’s Cereal Bars – recipe below. 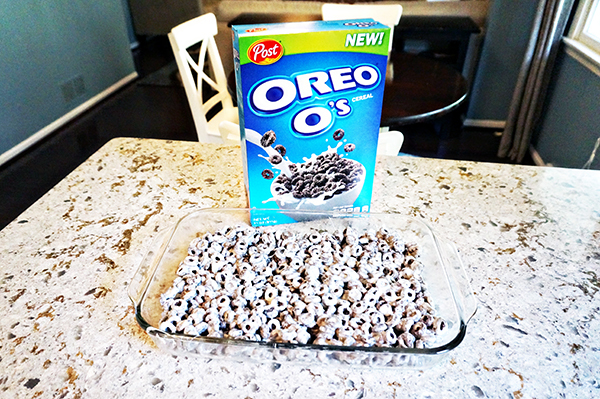 Oreo O’s cereal bars are super easy to make. 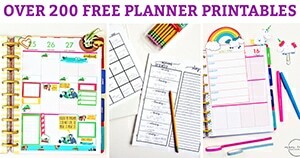 They’re a great as a fun activity to do with your children. My boys had a blast making them. 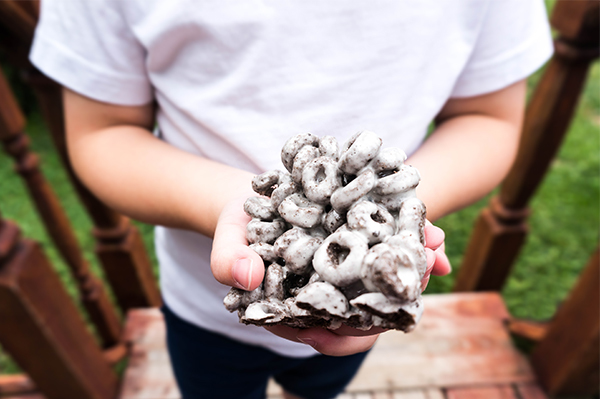 A quick and easy afternoon snack or dessert using Oreo O's and marshmallows to update one of your favorite treats. Melt margarine or butter in a large saucepan over low heat. Add marshmallows and stir continuously until melted completely. 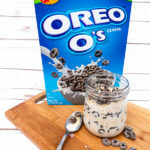 Add Oreo O's cereal and mix. Spread the mixture evenly into a greased 9 x 13 pans. Let cool, then cut and serve. This breakfast is to die for. It’s like getting to eat ice cream for breakfast. Overnight Oats were a huge craze a few years ago. It’s one craze that has stuck around as a breakfast staple in my house. 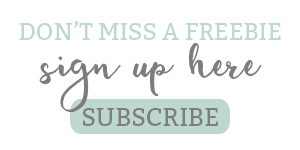 There’s one big reason why – it’s ease. As a Mom, getting breakfast for yourself can feel impossible. 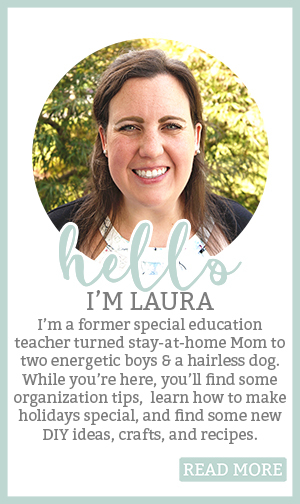 You tirelessly wrestle your kids out of their beds, into their clothes, and fight them to look semi-presentable for school. You’re busy making lunches and a breakfast number two because of course your toddler insists that his toast not be cut today (despite the fact you’ve always cut his toast into strips). The last thing you have time to do is to make a decent breakfast. But with overnight oats, there’s no need to stop and make your breakfast during the morning rush. Instead, you can make your breakfast the night before and just add a few ingredients the next morning. The only trouble with overnight oats is they can get a little boring. 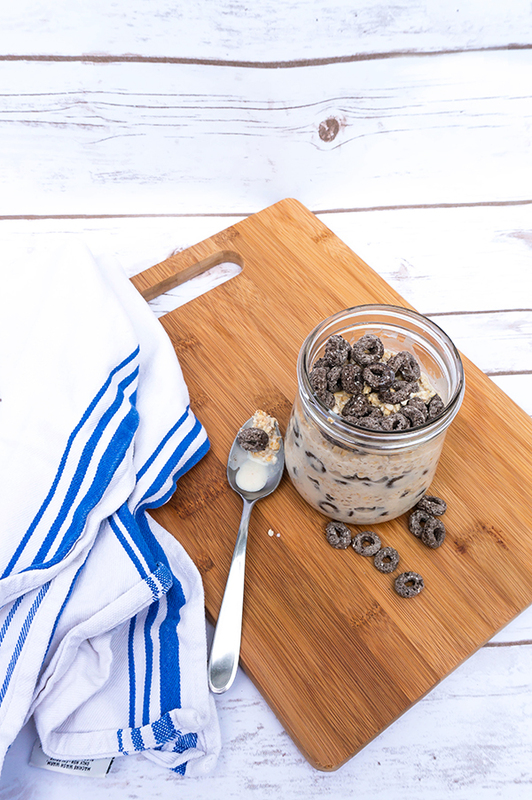 Cookies and cream overnight oats with Oreo O’s cereal is not your typical oatmeal. It’s full of flavor and makes you feel like you are eating dessert for breakfast. Use your favorite cereal that taste like cookies to create an easy and scrumptious breakfast. 1/2 cup Oats Choose whichever oats you like best. Pour 1/2 cup oats into a container. Pour 1/2 cup milk product into the oats. Add 1/2 tsp vanilla extract. Add 1 pinch of salt. If you desire a sweeter overnight oats, add about 1/2-1 tbsp sugar. Let the mixture sit overnight in the fridge. The next morning, stir the oats. 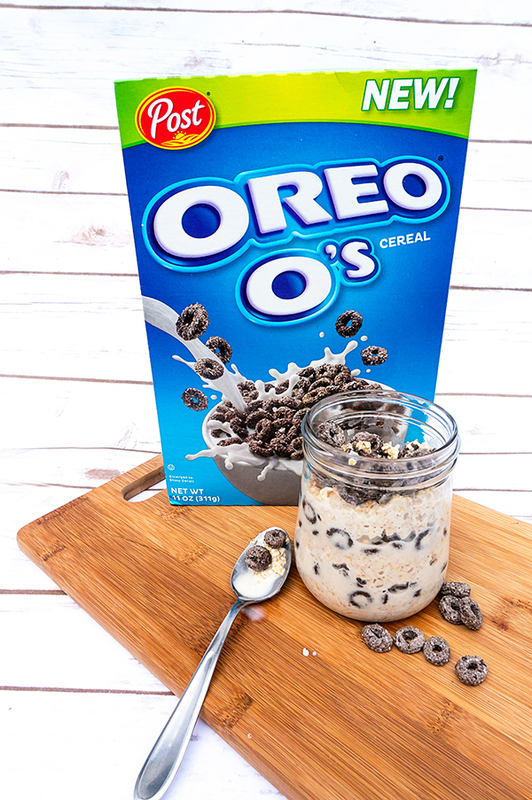 Mix in Oreo O's or layer them between layers of oats in another bowl. 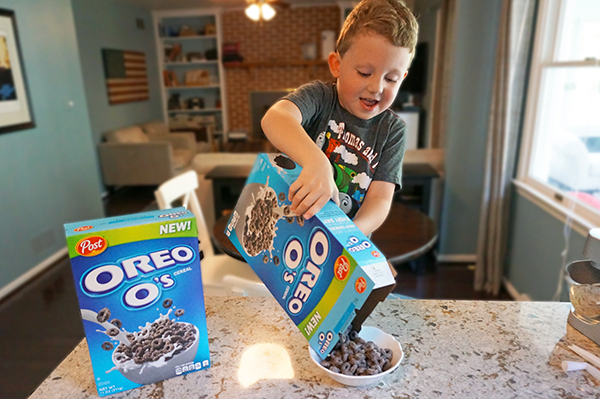 Did you have Oreo O’s as a child? 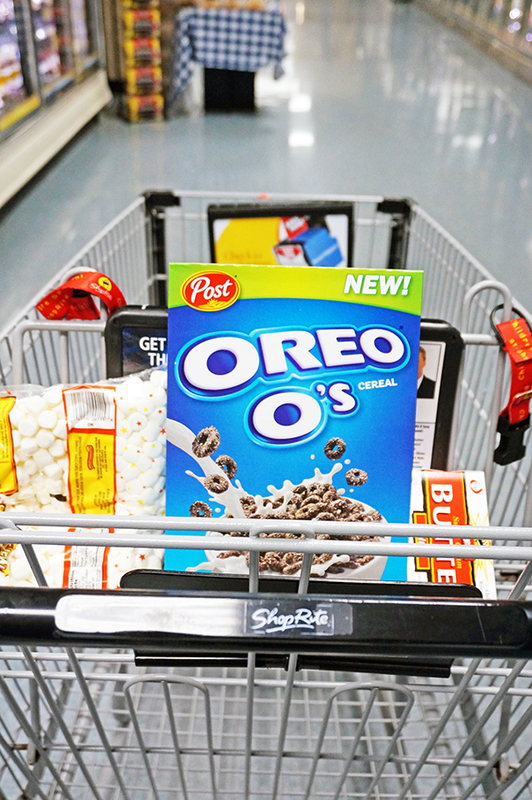 Have you tired the new Oreo O’s yet? I’d love to hear another way you use them. 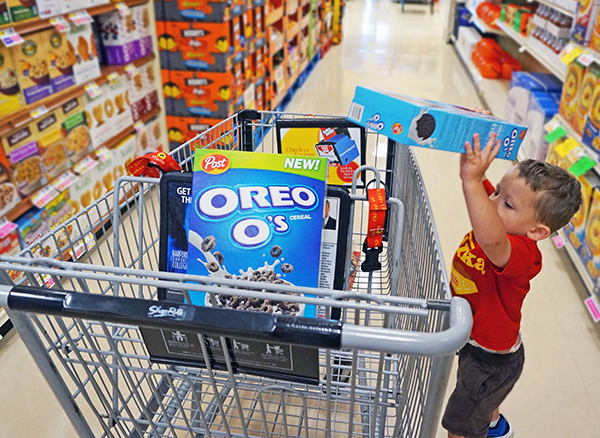 Again, if you’re looking to find some Oreo O’s cereal, click here to access the store locator. My husband loves it, too! Thanks so much for stopping by! Isn’t it fun when we rediscover a childhood favorite! I was thinking that those cereal bars would be the perfect Halloween treat if you added some tiny candy eyeballs to the middle of the circles right after you put it in the pan and while it was still sticky enough to hold them. I don’t know how I’ve never tried these! I guess I better fire up the Oreo O’s tracker and see where I can get them!! ? 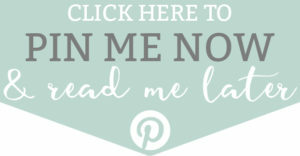 You won’t regret it – they’re delicious!! They make a great midnight snack, too! 🙂 Thanks for stopping by! The oats & bar recipes look really good! I bet my kids would like the bars. I’ll have to see if I can find it next trip to the supermarket. They really were a great treat – my boys loved them! Thanks for stopping by, Lynn! This just looks unbelievably amazing!! This looks amazing!!! Now I really want some oreos! Thanks so much!! 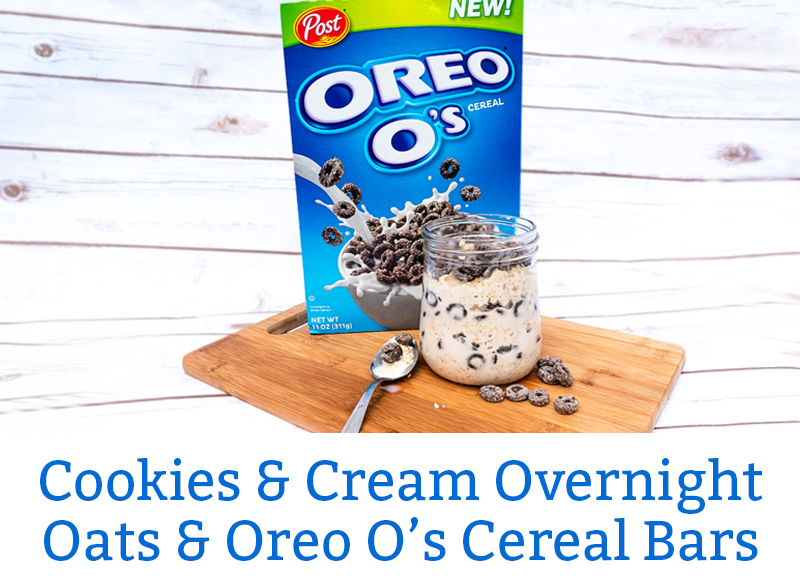 These will definitely take care of your Oreo fix!